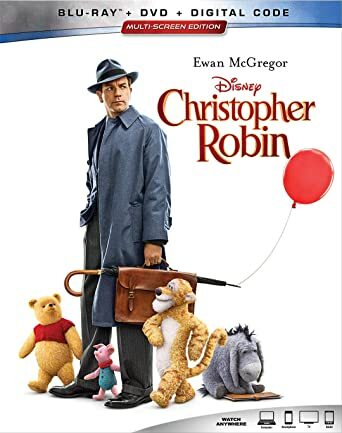 Christopher Robin on Blu-ray Only $22.99! Who was it in theater? You can pick up your own copy of Christopher Robin on Amazon for just $22.99 for the blu-ray copy! In this heartwarming tale from Disney, Christopher Robin, the boy who had countless adventures in the Hundred Acre Wood, has grown up and lost his way. Now it’s up to his spirited and loveable stuffed animals, Winnie The Pooh, Tigger, Piglet, and the rest of the gang, to rekindle their friendship and remind him of endless days of childlike wonder and make-believe, when doing nothing was the very best something.